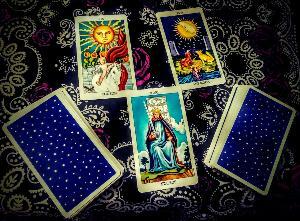 Prize: A Decision Making Tarot Reading given absolutely free from a professional psychic tarot reader. The winner can choose whether to receive it through a Skype video call, prerecorded video, or written PDF. What you must do to enter: Go to one of the embedded social media posts and like the post and tag a friend in the comments. You will be messaged a link to summit your official entry in which you must give a name and email address. Statistics: This contest was opened by 102 and entered by 4 ContestChest.com members. 4% of those who opened the contest, entered it.